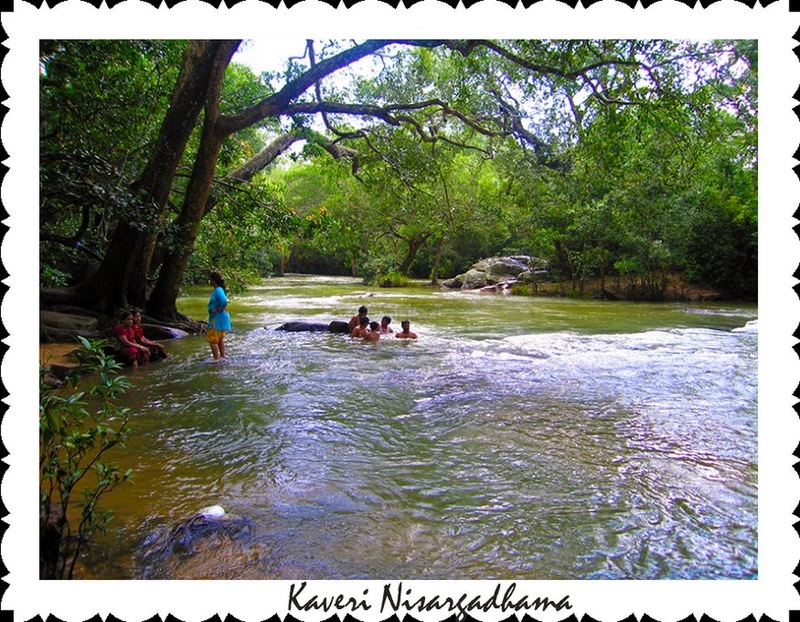 After our hectic work schedule, we planned to chill out at Coorg. We started our trip on Saturday morning from Bangalore. This is our first long drive in our car. On the way we started feeling so hungry and so decided to grab a bite to eat at Kamath hotel on the highway after Ramanagaram. We relished vada and idly wrapped in banana leaf. We left Kamath hotel at 9:20 am. On the way we visited Aprameya and Navameetha Krishna temple and headed towards Kushalnagar via Srirangapatna. Roads were good without any pot holes :). 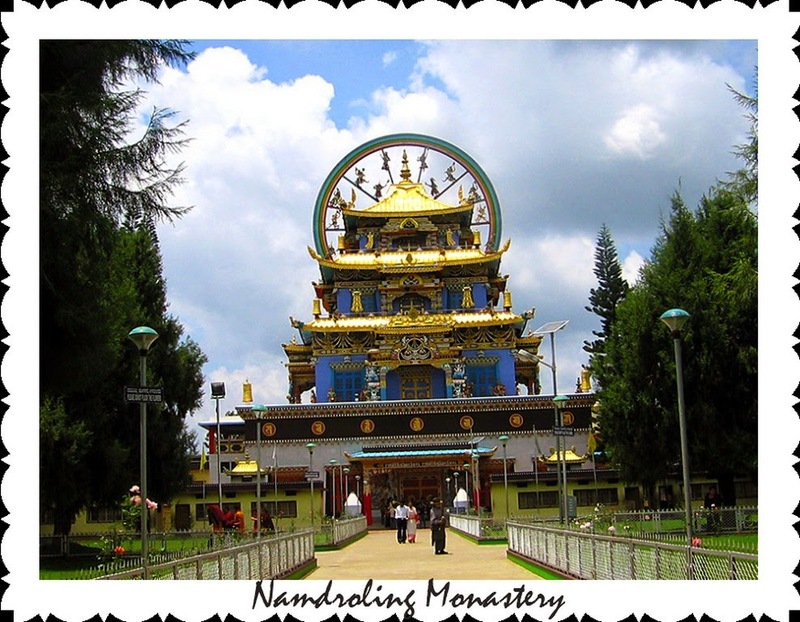 Few kms before Kushalnagar Tibetan Monastery (Namdroling monastery) is located. We reached there at noon. 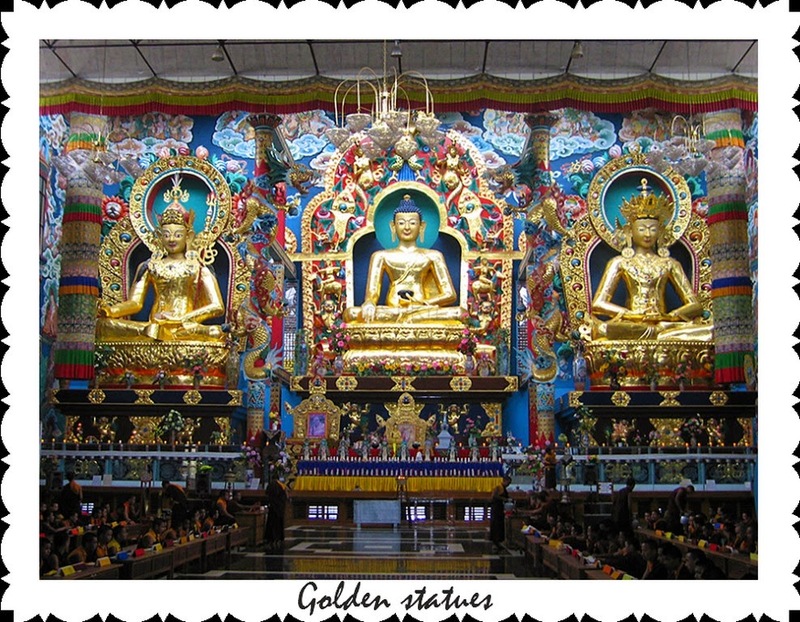 Inside monastery we saw gigantic gold plated statues of Buddha and monks were chanting mantras with drums and other instruments. This was a great experience for us. Next stop was Nisargadhama. As soon as we reached there it started raining heavily. Thought of doing something useful without wasting time, we had our lunch in the car :). 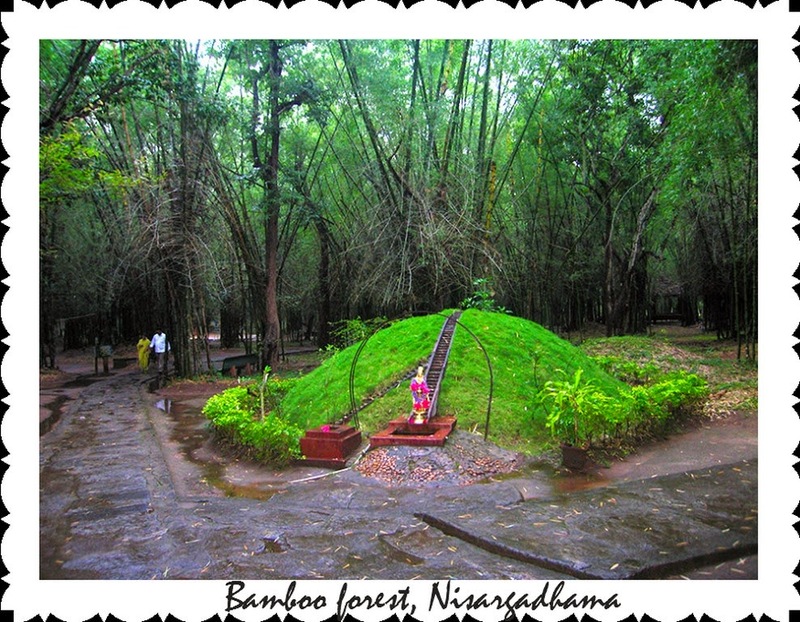 Inside Nisargadhama, it is filled with Bamboo trees. You can call it a mini bamboo forest. We climbed wooden huts atop bamboo posts and later took few snaps at the river. 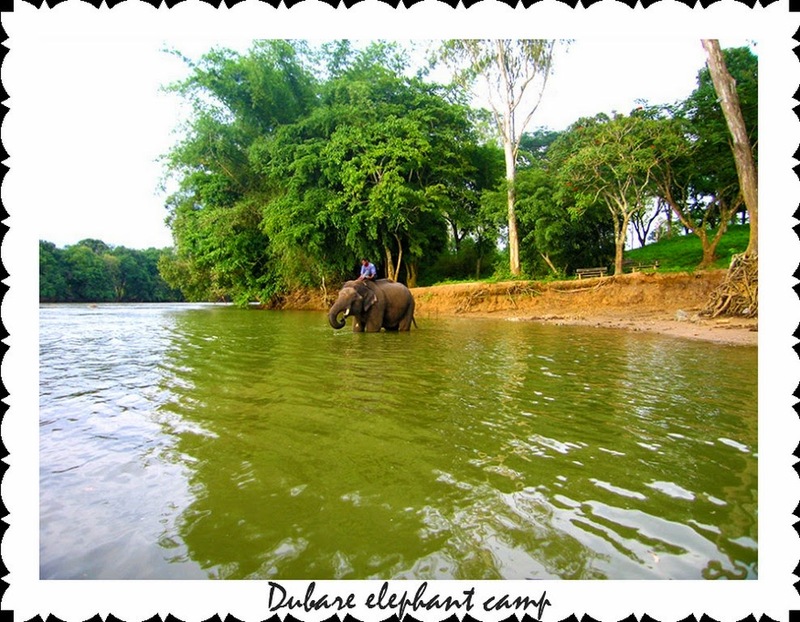 After Nisargadhama we reached Dubare Elephant camp in expectation of Elephant safari. We reached the other side of the river by boat. But we were disappointed as there was no Elephant ride in the evening :(. But we were lucky to see many elephants enjoying their dip in the river nearby our boat. Then we left for Madikeri. Enjoyed the scenic beauty as we drove down and it was a really thrilling experience driving in Western ghats covered in mist. Reached Madikeri in the night and stayed in the Hotel near Bus stand. We left at 9:00 am and visited Omkareshwara Temple then proceeded towards Talacauvery. On the way we parked our car and decided to take few snaps and video. Arranged tripod and decided to take a video of my wife with lush green valleys in the background, many people surrounded and were curiously looking at us. People thought it was a film shooting and were whispering among them hahahaha. 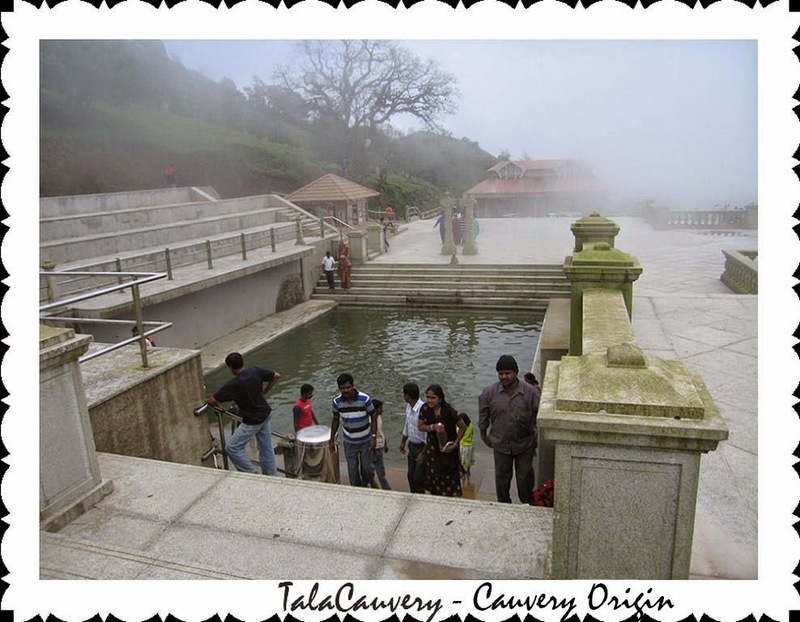 After taking snaps and videos we reached Talacauvery and had dip at the birth of river Cauvery, had darshan and then climbed the hill top and enjoyed the panoramic view. 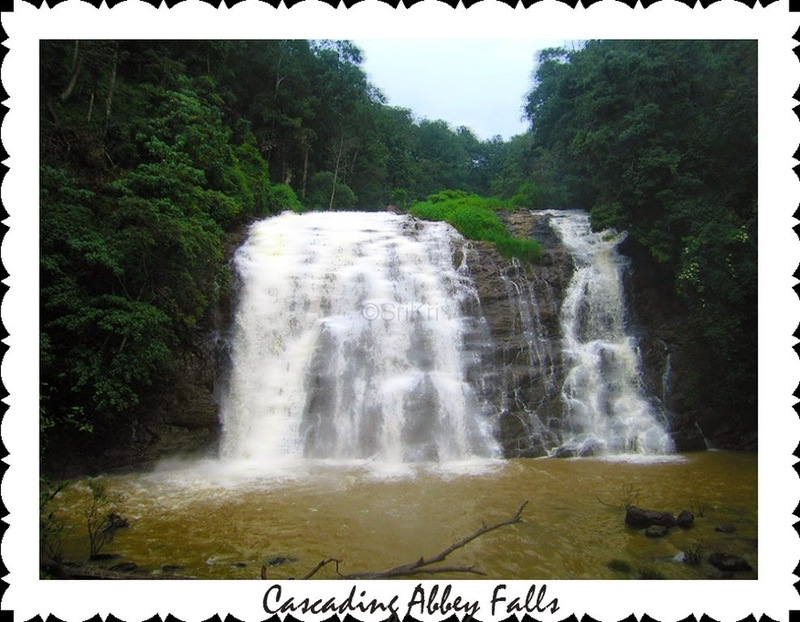 In the afternoon we were greeted by heavy rain at Abby falls. We had to stay inside the car and had a nice nap. Then we went near Abby falls. The path was covered by Coffee plantation on both the sides. We had a nice view of falls from the bridge and then left for Raja seat, a beautiful garden. It was too cold, so we had coffee and chat items to munch. 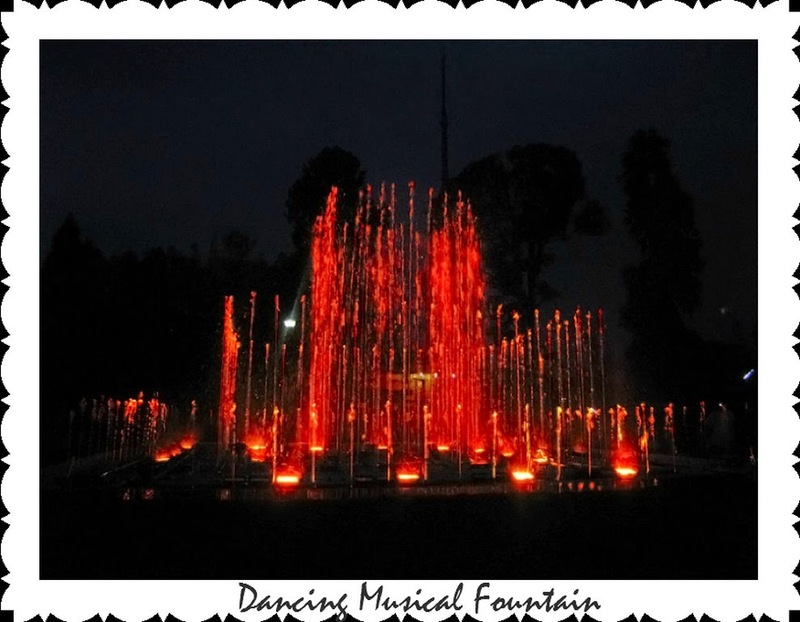 At 6:45 pm the musical fountain started. It was colorful and fantastic. Then back to hotel. Next day morning returned to Bangalore. 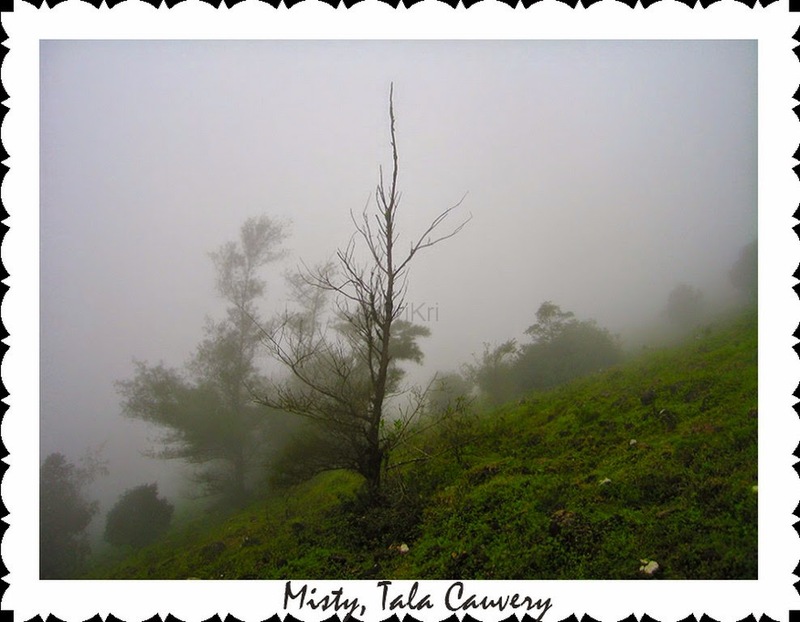 Coorg is a nice place to see.This is what I have heard so far.In this article, it has been narrated what are the important places to see on the way. Since there is no elephant ride in the evening, we can chalk out a programme accordingly so that we won't miss it.We can also take the tripod along with the camera to get fine shots.The article "Trip to Coorg" is nicely presented and I feel it is very much useful for those who want to visit Coorg for the first time.since the road is good, we can travel without much difficulty. It would have been very ideal, If the article covered the climatic conditions,availiblity of accommodations etc.It is definitely a self guide.